Did you know you could be eligible for £2,000 worth of funding to help grow your business? 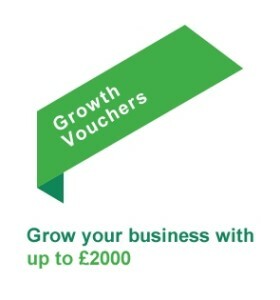 Get your business online and found by the customers you need with the help of the Government funded Growth Vouchers. If you’re a small business that has been trading for over a year and you are looking to grow your business you are eligible for funding. The Growth Vouchers are being funded by the Government, who have put aside £30m; each voucher will be worth up to £2,000 whereby the Government matches the amount you have to invest. 15,000 businesses will be chosen at random to receive the free Government funding, and you could be one of them! If you're one of the lucky 15,000 small businesses selected to receive the Growth Vouchers you will be taken to the Enterprise Nation Marketplace, where Ascensor are listed as an adviser for you to select. How Will Ascensor Help You? With £4,000* to spend Ascensor can design, develop and build you a brand spanking new website to get your business noticed online. All singing, all dancing websites are expected of a trusted, professional business, but then what’s the point if your target audience can’t find your site in the midst of all the other billions of websites? Ascensor have a proven track record of increasing the amount of relevant traffic to your site. As a Google Engaged Agency we have been trained by Google to get your website to the top of the search engine ranking pages, meaning an increase in traffic to your site. Your business deserves to be noticed, the internet is a 24/7 sales platform, use it to your advantage with the help of Ascensor. Give one of the friendly Ascensor team a call or email sales@ascensor.co.uk for more information on how to apply for a £2,000 Growth Voucher.